Although Bay Area-based VCs have long invested heavily in startups in their local geography, lately investors have increasingly ventured beyond, backing numerous companies in various other cities and states. The number of non-local VC deals by Bay Area investors grew 103% from 2010 to 2015; last year, for the first time in a decade, a majority of financings by these firms were made outside of Greater San Francisco. Looking at the list, there are a handful of familiar names at the top, but also some entries in the top 10 that might surprise. The New York City metro area sits at No. 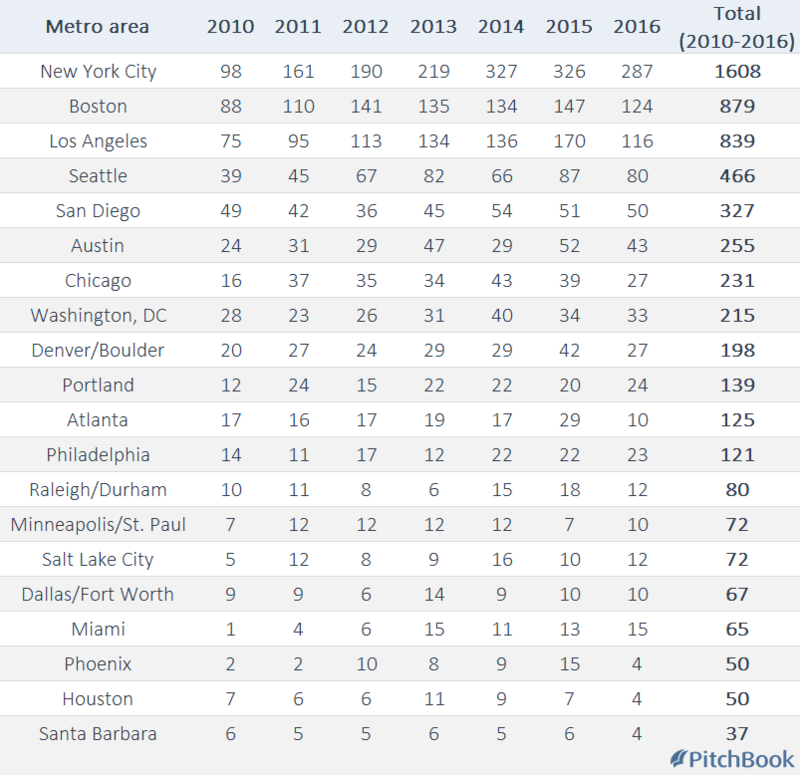 1, with 1,608 VC deals completed between 2010 to 2016 that had Bay Area participation. There’s a pretty stark drop off to the next metro area, Boston, which saw 879 deals. LA came in a close third, followed by Seattle with 466 rounds. Other notables: Washington, DC, claimed the eighth spot and Portland, OR, rounded out the top 10.